Readers, I’ve been experimenting with cupcakes again. For a family get together a few weeks ago, I wanted to share a taste of summer with everyone and support our local farmers who are busy growing great tasting strawberries. For this recipe I paired my cupcake recipe with a strawberry jam filling, cream cheese style frosting and made my own strawberry syrup to coat the strawberries on top of the cake. 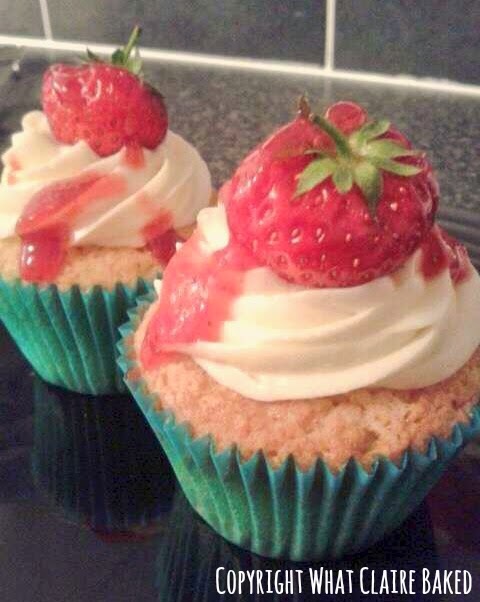 The result: a delicious and summery cupcake perfect for garden parties and afternoon tea! This recipe could also be adapted for raspberries or even a mix of Summer berries. Oh and I'm also entering this recipe into the Wimbledon Bake Off 2015, held in conjunction with Ralph Lauren. Firstly set aside 12 whole berries for the topping. Cream together the butter and sugar until light and fluffy. Then add in the vanilla essence and mix together with an electric mixer. Then add in the final egg and mix until your cake batter comes together. Spoon the mix into the 12 muffin cases and bake in the oven for 17-18 minutes until golden on top and a metal skewer inserted in the cake comes out clean. Remove from the oven, remove from the tray and cool on a wire rack. Transfer 4 heaped teaspoons of quality strawberry jam to a blender and pulse until smooth but not runny. Next take a disposable piping bag fitted with a cupcake filler long nozzle (I got one in The Range) and check cakes are fully cooled. 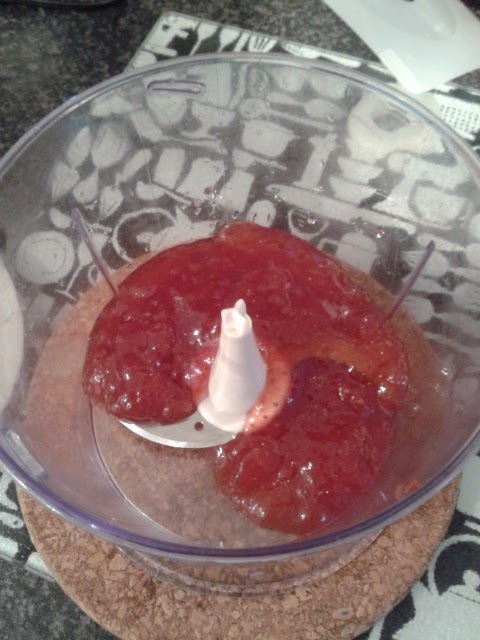 Insert the nozzle into the top of each cake and with a small, light squeeze, fill the cake with a little jam. Remove the nozzle and ensure that the filling doesn’t come out of the top of the cake. Firstly, make your strawberry sauce by adding the sugar and water to a medium, heavy based pan. Setting the hob to a medium heat, stir until sugar is dissolved. Next, add in the strawberries and bring to a boil, for around 10 minutes. Then, reduce heat and simmer until the sauce is thick and mushy. Remove from pan and set aside to cool. If you want a smooth sauce, use a hand blender to break down any remaining fruit. Chop your butter and add to a clean bowl, using an electric mixer beat the butter until light and fluffy. 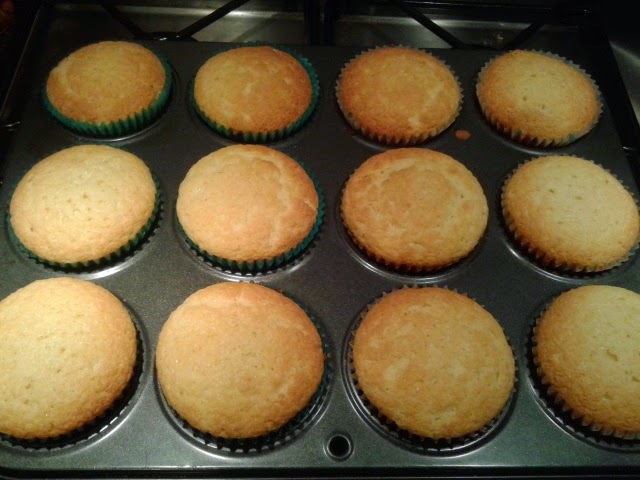 Slowly add the icing sugar until a buttercream is formed, mixing as you go. Keep the cream cheese in the fridge until ready to use. Then, scoop out 100g and add to your buttercream mix. Whisk into the mix to combine but be careful not to over-mix as cream cheese goes runny very quickly. 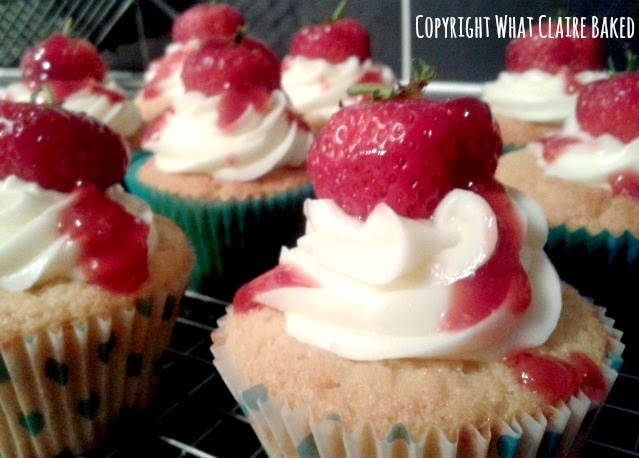 If too soft, set aside in the fridge to firm up slightly before transferring to a piping bag. When ready to ice, use a disposable piping bag with open star nozzle to pipe swirls on top of each cake. Decorate with a whole strawberry and drizzle with the now cool sauce. Ooow these look really yummy. I have never thought of putting jam in a blender. What a clever idea. Makes it so much easier to get it through the piping bag, if it's good quality jam with lots of fruit in it. Better flavour than cheap spread as well! Unfortunately there's none left, otherwise I'd have posted one to you! Delighted to be taking part again! I love the idea of these cupcakes. We love strawberries. Thanks Alison - they were delicious! Thanks for sharing. They didn't last long!